The pack includes 60 transparent music cards, each one of which contains a bar of music. However you can turn the card upside down and you can also view it from the other side, which means that each card actually contains 4 different bars of music to choose from. There are 60 cards, so you have a choice of 240 different bars of music. Log on to the associated web site, load your chosen sequence of cards, and you can immediately hear your composition played back by a real orchestra! You can share your composition via e-mail or social networks, or even download an MP3 version. 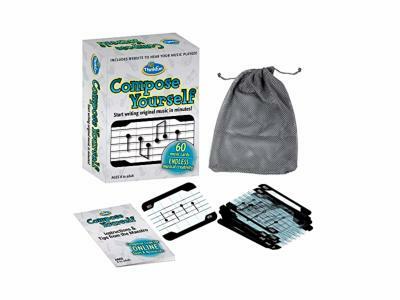 Compose Yourself was invented by the composer Philip Sheppard. 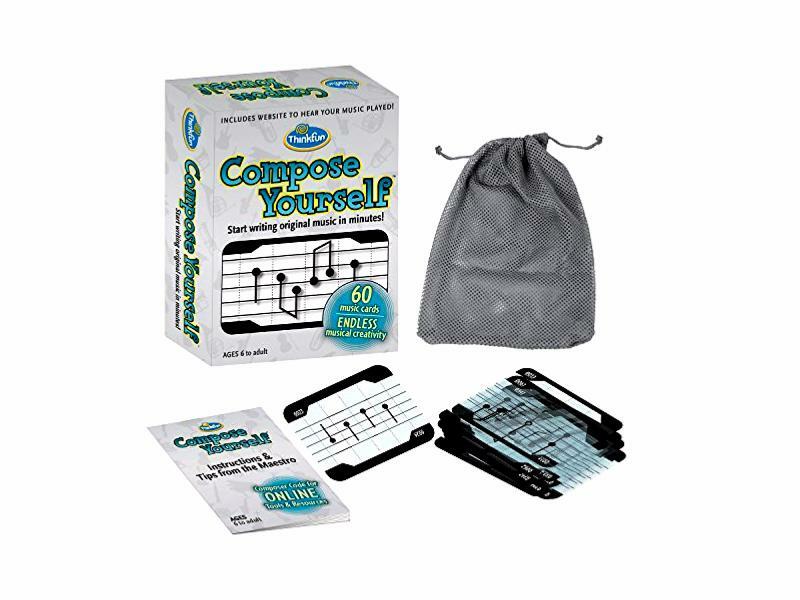 The pack includes 60 transparent music cards, composer code card, instructions and composing tips, online tips and resources and a travel bag. The pack comes in a smart presentation box, and is suitable for ages 6 to adult.